On the 11th hour of the 11th day of the 11th month, Canadians observe a moment of silence. Wearing poppies on their hearts, they place wreaths at the foot of the Tomb of the Unknown Soldier, and other memorials across the country, much as they have for 95 years. This ritual, whose date coincides with the end of the First World War, recognizes all the men and women who have fallen during the last century’s conflicts. The day carries a particular heaviness for those who have recently served with Canada’s Armed Forces. Like many other young Canadian men and women, Leduc Butterworth is a veteran. He joined the military as a reservist in 2005. Four years later, he was deployed to Afghanistan, where he served with the second battalion of the Royal 22e Regiment. “Our job was to essentially put ourselves between the civilian population and the Taliban, and try to provide security by being that shield — that deterrent to push the Taliban back and allow other teams to do work behind us,” he recalls. Leduc Butterworth, who’s working towards a double major in History and Archaeology, isn’t the only veteran at the university. Twenty-nine-year-old Matthew Ramsay, a sergeant in the Black Watch (Royal Highland Regiment) started his degree in 2010. He has one course left to complete his Bachelor’s degree with a major in History and minor in Political Science. Ramsay also joined the Forces in 2005. He was deployed to Afghanistan in 2009 and Ukraine in 2015. During his first tour, he too served with the second battalion of the Van Doos. Both Ramsay and Leduc Butterworth were part of a battle group, and both men served as gunners for a LAV (light armoured vehicle). On Aug. 1, 2009, Ramsay’s convoy was hit by a roadside bomb in the Zhari district, west of the city Kandahar. Ramsay recounts initially feeling relieved after the detonation, believing his group had escaped injury. However, when members of his platoon dismounted their vehicle to secure the area, a second mine exploded, killing combat engineers Christian Bobbitt and Mathieu Allard, both 23 years old. Ramsay witnessed the blast that killed his friends, and says he struggled with the traumatic images of their deaths for a while thereafter. 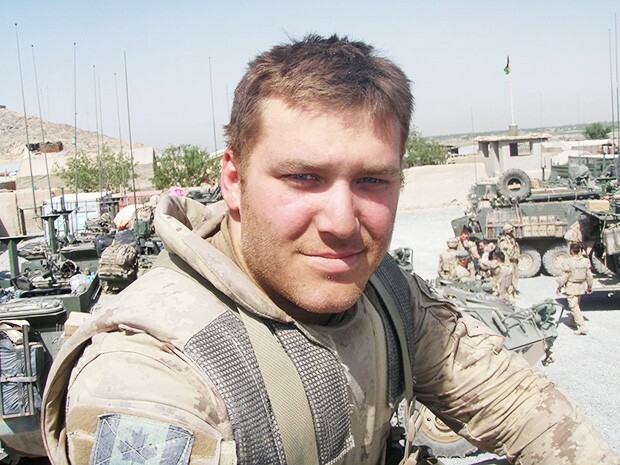 On September 13, during his first significant engagement with the Taliban, Leduc Butterworth’s company was also hit by a roadside IED (improvised explosive device). The burst injured four of his colleagues and killed 21-year-old Private Patrick Lormand. “It's affected a lot of what I've been doing since my deployment. I saw the wide range of everything you could see in Afghanistan. I saw death, I saw destruction and I saw suffering; on the civilian side, on the Taliban side and on our side. Returning to civilian life wasn’t easy, though. Leduc Butterworth is open about his battle with PTSD, and describes the isolation many vets feel when they leave the military as devastating. He recalls the intense anxiety that overcame him after returning from overseas. “I had a panic attack because everything looked the same. The world around me, I recognized everything there, I’d lived there. But I was completely different inside,” says Leduc Butterworth. 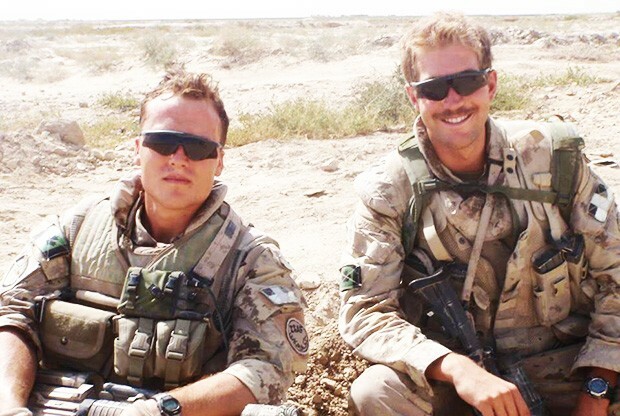 As young Canadian veterans of the Afghan War, Leduc Butterworth and Ramsay are part of an isolated group, 88 per cent of whom drop out of university in their first year. They're also seven times more likely to commit suicide than the rest of the student body. They both began their studies at Concordia shortly after returning from Afghanistan. Even Ramsay, boisterous and assured, admits that he has often felt guarded around other students — hesitant to reveal himself as a member of the Forces. Leduc Butterworth also found himself having trouble integrating, and says that he very nearly failed out of university. In the end, Leduc Butterworth did get the signatures, and as of today, Concordia is the only university within Canada to have a veteran’s association. This November 11, Ramsay and Leduc Butterworth will dress in uniform and march in Remembrance Day parades as a tribute to those who never made it home. The Concordia Veterans Association is open to anyone, no matter their military experience, no matter the country they served for, and no matter if they are a civilian who has undergone a stress injury. Overall the Association aims to provide peer support, transition assistance, and veteran advocacy and is committed to combating stigmas and fighting on behalf of all those suffering from mental health issues on campus.